A monument stands in front of this famous station in honour of the moment in history when the hamlet of Charing became the official centre of London. This dates from 1290 when Queen Eleanor's body rested here en route from Lincoln to be buried in Westminster Abbey. Her husband Edward I had 12 Eleanor crosses erected in her memory to mark the route, the last of which stood on the south side of Trafalgar Square until 1647. Even though distances to London are actually still measured from this point, the replacement Eleanor Cross has stood outside Charing Cross Station since around the time it opened in 1864. Today millions of people a year file past the memorial at Charing Cross on their way to and from London's bustling West End. Services to Kent and suburban destinations in South London run from Charing Cross. The sister Tube Station nearby gives access to the Northern and Bakerloo Underground lines. Sitting right at the top of the Strand, the train station is a couple of hundred metres from Trafalgar Square and the National Gallery. What are the best dining options near Charing Cross Railway Station London? 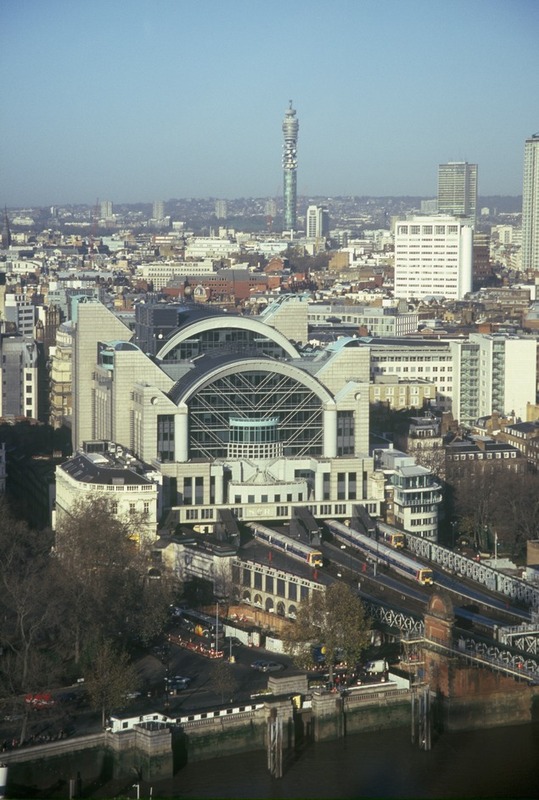 Charing Cross Railway Station gyms, sporting activities, health & beauty and fitness. The best pubs near London Charing Cross Railway Station. Charing Cross Railway Station clubs, bars, cabaret nights, casinos and interesting nightlife. Where to have your meeting, conference, exhibition, private dining or training course near Charing Cross Railway Station. From cheap budget places to stay to luxury 5 star hotels see our deals for Charing Cross Railway Station hotels, including The Royal Horseguards - A Guoman Hotel from 81% off.